In the event of an emergency in your vehicle, a car emergency kit can be critical in addressing injuries, alerting other drivers, and getting help. There are several different facets of a car emergency kit and several recommendations for what you should include. Below, find some of the most vital items and add them to your vehicle today. Even if injuries are minor, a first aid kit can have antibiotic ointment that will stop an infection from starting. 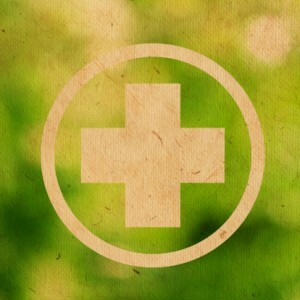 A first aid kit will also allow you to bandage small cuts and at least seal up your wounds until further help arrives. If you want to skip buying a kit, add antiseptic wipes, adhesive tape, gauze pads, and antibiotic ointment. If anyone in your family has a severe allergy, this is also an excellent place to store medical devices for that purpose. If a vehicle catches on fire, the situation could spiral out of control quickly. Consider adding a fire extinguisher to your kit to stop a small fire before it affects other vehicles or people on the road. If you have been an accident, alerting other drivers can stop other accidents and injuries. Reflective triangles and flares also make it easier for medical personnel and law enforcement to locate you on the road. Even if it’s daylight hours or during a time when traffic appears slow, use these to let other people know to slow down or get out of the lane nearest your car. Throwing a can of a temporary flat tire solution might just tide you over until you can get further help. This can be especially helpful if you are traveling at night, or are traveling in an area where roadside assistance may take hours to get to you. This solution won’t hold for long, but it will usually hold long enough for you to get somewhere where the flat can be replaced. Rags can be helpful for variety of reasons, so it’s recommended that you always have a least one on hand to improvise with. A blanket is critical for anyone living in a cold weather area, since you might be stranded in your car and will need to keep warm. You might also consider throwing in a spare pair of boots if the winter in your area features extreme weather. Jumper cables are a must-have for any driver. Want to avoid waiting hours for roadside assistance to jump your dead battery? Keep jumper cables in the back of your car to get immediate assistance from another driver. A flashlight is also handy if you’re doing this at night. All of these serve multiple functions and can be helpful in a variety of roadside incidents. Always make sure that your car emergency kit is stocked with enough of these items to be useful. Don’t ever hit the road without an emergency kit. With a well-stocked emergency kit, you’ll be prepared for any car accident or incident thrown your way. Do you have any tips for the best items to include in a car safety kit?